Price quoted per square metre: Minimum order 20 square metres. Enter the amount required in available options box before proceeding to check out. Fabric Weight: 50 grammes per square metre. Combining top quality heavyweight fabric as used by the trade with top value. 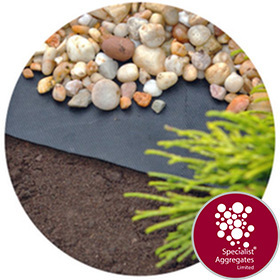 When used in conjunction with chippings, gravel or wood chips the membrane prevents the germination of wind blown seeds resulting in less weeding. 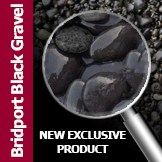 Ideal for use on flower beds, embankments and under timber decking. 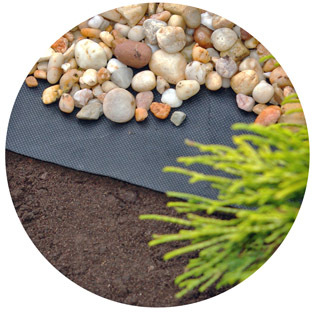 This membrane also prevents the loss of mulch and wood chips into the soil. Manufactured from spun bonded UV stabilised black polypropylene. Product is held as a stock item and delivery will be made in three to four working days. Check Out Our Value: When comparing the price of this top quality product note the fabric weight. Fabrics on the market that do not quote fabric weight (thickness) are invariably of inferior quality in respect of product performance.